It doesn’t matter what you have on the agenda for the day, the AirSep Focus dual battery custom carrying case offers a carrying method that is optimal and beneficial for the task at hand. Its extreme versatility is what makes it able to go where you go while never holding you back. The AirSep Focus dual battery custom carrying case will not draw attention due to its inconspicuous design so you can use it anywhere. You can also rest assured knowing that your Focus POC won’t overheat due to the carrying case’s special design that doesn’t trap heat. The carrying case also features two built-in battery pockets to allow you to carry two batteries at all times, which will be especially useful for traveling. The two side pockets for the AirSep Focus micro batteries are fitted with a custom cutout to allow easy access to the battery gauge without having to remove the battery from the case. 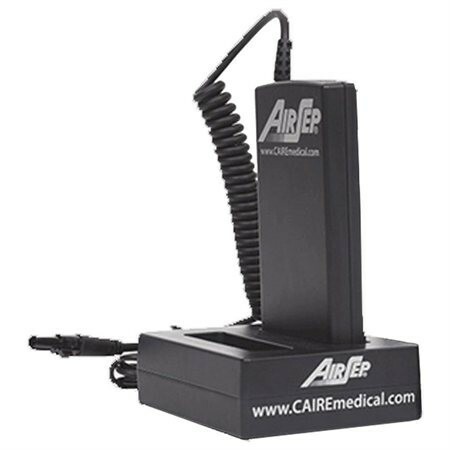 If you are using the AirSep external 8-cell battery, you can use the integrated clip to attach an 8-cell battery to each side. 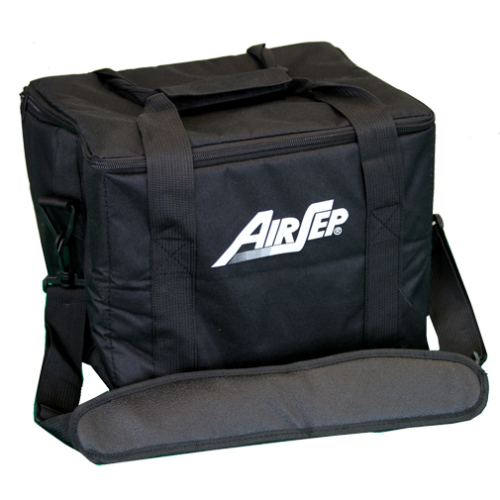 The custom carrying bag for the AirSep Focus has been freshly redesigned to be even more patient friendly. 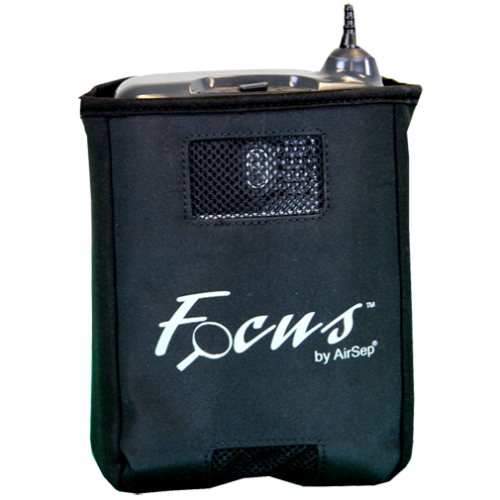 One of the improvements being the addition of two side battery pockets to allow patients extended portable operation of their AirSep Focus portable oxygen concentrator. 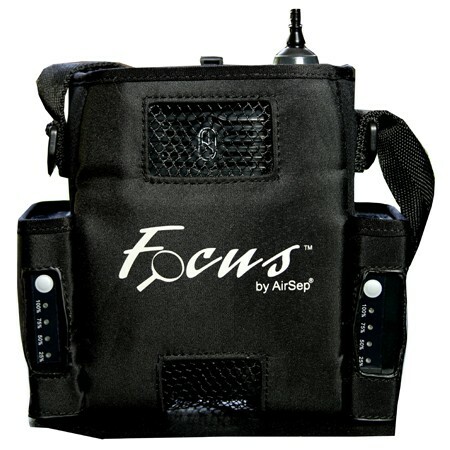 In the previous version of the AirSep Focus carrying case, the shoulder strap would attach to the case with a buckle that would often times break. 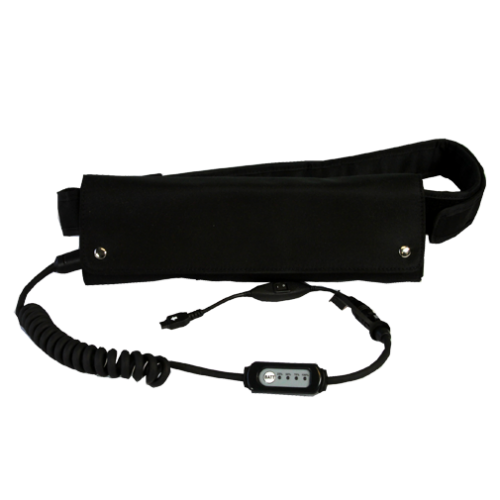 The new shoulder strap is the solution to that problem, because instead of buckling the new strap clips on to the carrying case for a more secure and durable hold that won’t break.